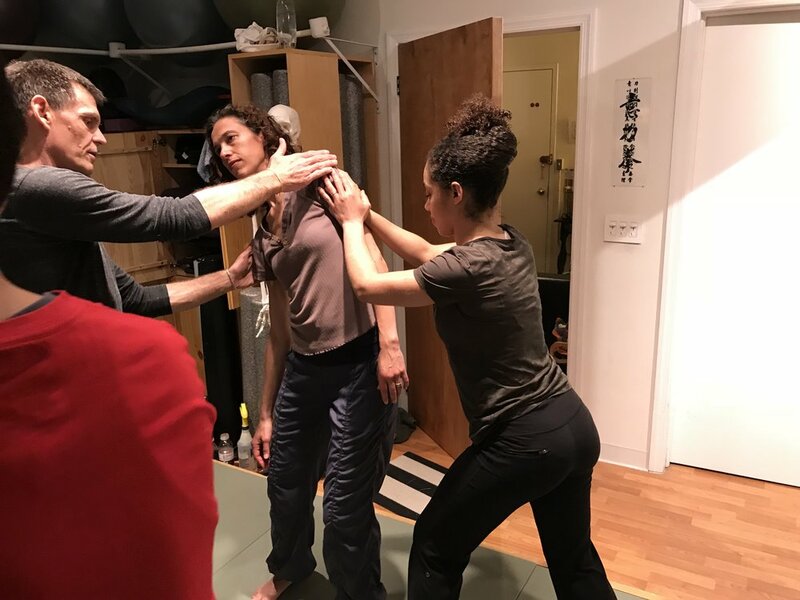 Tim Cartmell May 6-12 2019 NYC workshop! We're happy to announce that we will be bringing Tim Cartmell back to NYC for the sixth consecutive year this coming May! 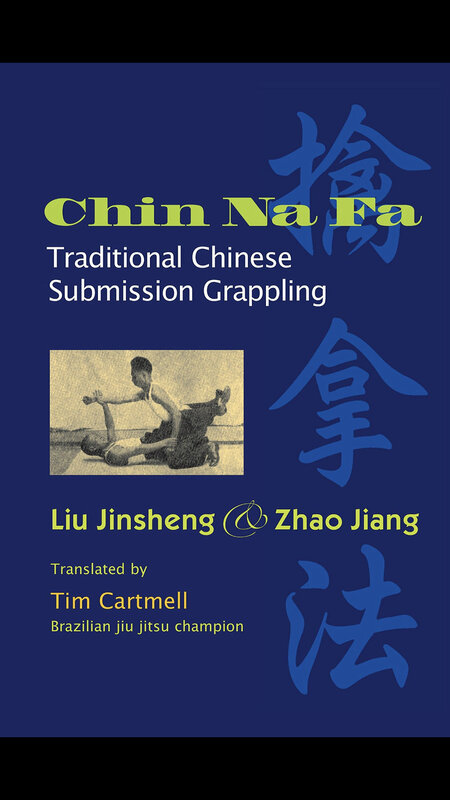 With an impressive resume of over 40 years experience in several different Chinese martial arts; 10 years living abroad, both training under various luminaries in the Chinese martial arts, and teaching in Asia; earning the prestigious 3rd degree Black Belt in Brazilian Jiu jitsu; competing and winning in a variety of different formats; coaching several students to win in their own right; and author and translator of several martial arts texts, many of which are regarded as standard classics within the martial arts world. Tim Cartmell is a world renowned, highly sought out teacher in a variety of martial arts. Tim has a clear teaching style and an incredible eye for detail. Tim is highly experienced at working with a wide range of students from all different levels. From your average 9-5 working-class individual, to professional mixed martial artists, grapplers, Law enforcement and Security professionals, teenagers, kids, women, and even senior citizens (no kidding!) He is one of the few teachers who has extensive experience in traditional martial arts as well as contemporary mixed martial arts. For the various individuals who have been fortunate enough to cross paths with Tim, he has left an unforgettable impression upon their mindset, skill level, and an overall well-rounded understanding that is grounded in common sense and logical thinking. Tim has an open-minded and flexible approach as a means to an end within his instruction that goes beyond any one specific system. This makes his teaching method relevant to anyone regardless of their experience and preferred martial art. It would not be difficult to imagine an individual with such an extensive martial arts background to have an intimidating personality, or at least an overbearing disposition. 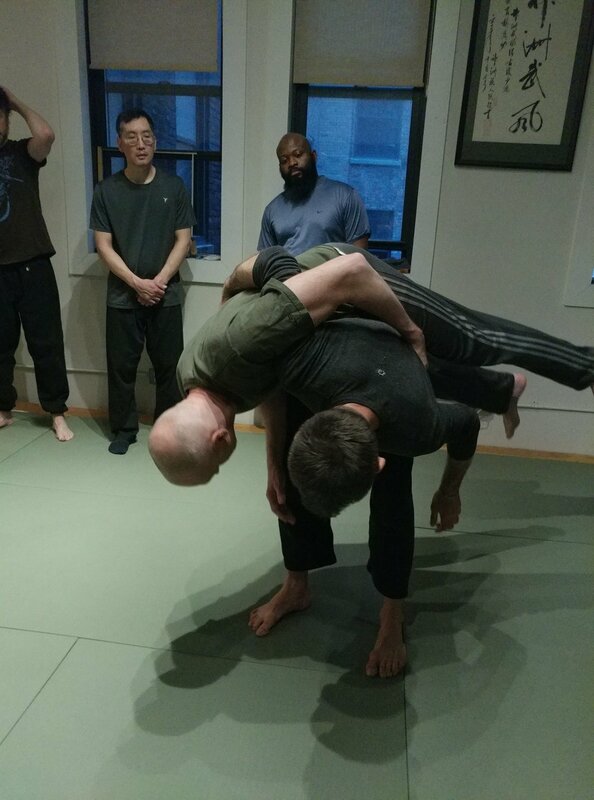 On the contrary, Tim is not only an excellent martial artist and teacher, but he is also a kind, humble, and open individual, with an excellent sense of humor, who is willing to share his experiences with anyone who is willing to listen. His workshops have always been highly enjoyable, and amazing learning experiences. This is a wonderful opportunity to experience the instruction of a masterful martial art practitioner and teacher! This workshop will focus on helping you apply principles of effortless movement in your current skills sets. True to the classic descriptions of the Internal Martial art, the emphasis on the body method is central to Tim Cartmell’s philosophy of martial arts. Tim is renowned for his high level of technique, and sophisticated body mechanics. Tim is not a physically imposing individual, and so he makes a habit of not muscling technique. He is a master at using leverage, relaxed and integrated body mechanics, and emphasizes their understanding and application within his training. One of the key things that sets Tim apart is the ability to guide you on the right path of understanding that will enable YOU to do the same in your own training. The implementation of his teachings will definitely serve you in your current and future practices. Over the years, numerous people worldwide have discovered Tim’s talent for helping a student recognize how to implement what one already has at their own disposal. Students leave his workshops with a much clearer understanding of what they do, and greater functional ability than when they came. Tim organizes his teaching method around a coherent system, allowing the most beginner to experienced student to not only understand his instruction, but to actually implement it. -The principles of correct body usage. How to train precise body movement by paying attention to what is happening in your body structure during movement, and using that feedback to improve your movement quality. The less precise the movement, the more wear and tear on the body, and loss of power while performing techniques. - How to maximize leverage to use an opponent’s force for your benefit. 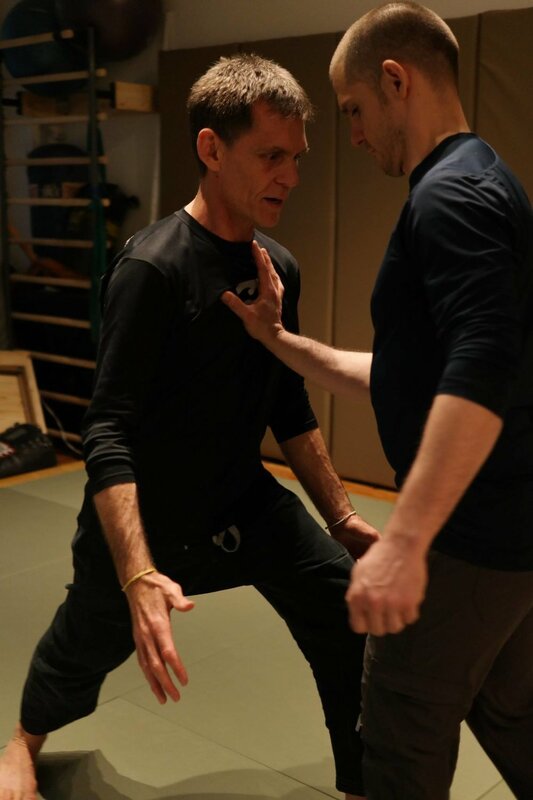 Tim’s extensive experience has shown him that training methods based on those qualities will allow you to realistically practice against fully-resisting opponents, and will work the same against any opponent regardless of their size or strength. The martial tactics and strategy that will be presented by Tim will be entirely based on leverage, maximizing your use of angles and weight, and taking advantage of the inherent weaknesses of your opponent's structure and balance. 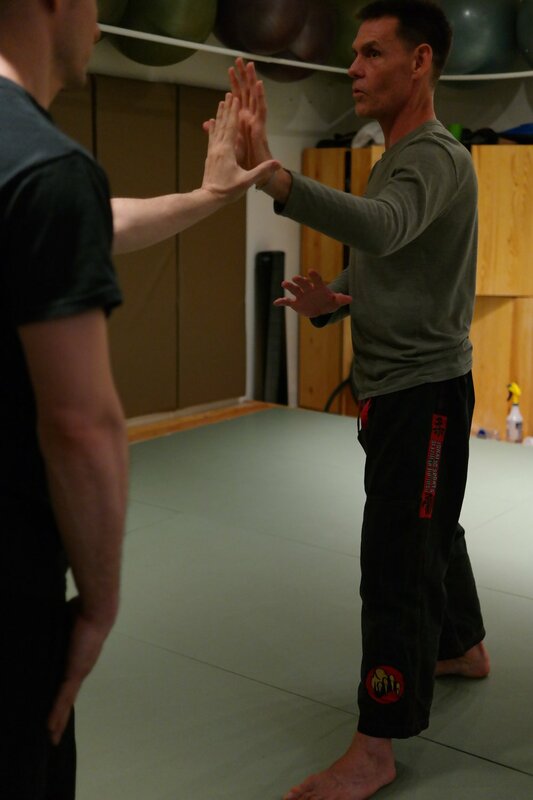 The principles taught in this workshop can be applied for real in practice, against fully resisting partners, so you can count on applying them for real should the need ever arise.There is no contesting with the attacker's strength, and is especially useful for anyone who needs to be able to apply their techniques against a larger, and or physically stronger opponent. Understanding these concepts will build confidence in your technique, and a real ability to implement these principles if necessary. Unlike many different branches of Bagua, Sun Style Bagua does not require memorization of arbitrary, highly stylized, or complicated movements. It gets to the point rather simply and directly. It blends martial training with good body mechanics and conditioning. If you already have previous Bagua training, and feel reticent about learning another Bagua system, the principles will be consistent with what you are already familiar with. You'll gain a deeper understanding through Tim's clear, methodical, and no-nonsense approach to teaching, which gives you something genuine that you can both understand and do. If you have no experience in bagua, Sun style is an excellent start because it puts a premium on the quality of the fundamentals over quantity of forms. -Practicing the Dragon palm change over time will increase the strength, flexibility and stamina of your arms, shoulders and upper back while establishing a connection from your hands to your hips during horizontal rotation. -The Dragon palm change includes techniques that will teach you how to simultaneously attack an opponent's legs and upper body, creating various martial techniques through the power of "splitting" in a horizontal rotation. The Bagua Bear form is a variation of the Double Palm Change that involves bringing spiral energy from the center outwards while spinning on one leg, making it excellent training for balance and rotational stability. Technically, the Bear techniques will teach you how to simultaneously control the opponent's head and leg ending in spiral takedowns, as well as teaching you hand maneuvers for close quarters grappling. You do not need to have attended prior Ba Gua Zhang seminars to attend any of these sessions. The minimalist format, and lack of overly complicated movements presented are designed to allow both people who have attended previously to build on to their existing knowledge base, and people who have not previously attended to start from the point of their first exposure to Sun style. -Basic Exercises and Power Training methods of Xing-yi Chuan, that are designed to help you develop the structural integrity, coordination and correct timing of body movement and awareness, that is characteristic of xing-yi chuan. - Santishi, the basic structural alignment of the xing-yi chuan & its fundamental importance in developing whole-body power, and oppositional force vectors that will help you develop and maintain constant structural stability while in motion and in relation to an opponent’s resistant force. -The five element fist form sequences consisting of splitting, drilling, crushing, pounding, and crossing, along with their individual supplementary training methods, drills and martial applications. ﻿Tim has extensive experience practicing and teaching Xing-yi Chuan for over three decades, and has trained under several master teachers, from both the Hebei and Shaanxi branches of Xing-yi in both Taiwan and mainland China, and has he actually implemented Xing-yi in competition winning several full contact tournaments in Taiwan. Xing-yi Chuan is a martial art characterized by relaxed, yet powerful whole body movements, and the implementation of economical angles of attack and counter attack in application. It offers the meditative benefits found in other internal arts while maintaining a strong martial emphasis that is not always seen in those arts. The central practice of xing-yi chuan are the 5 Element Fist Forms. These consist of short form sequences which contain all the fundamental postural requirements, footwork, and fighting strategies found within the system. 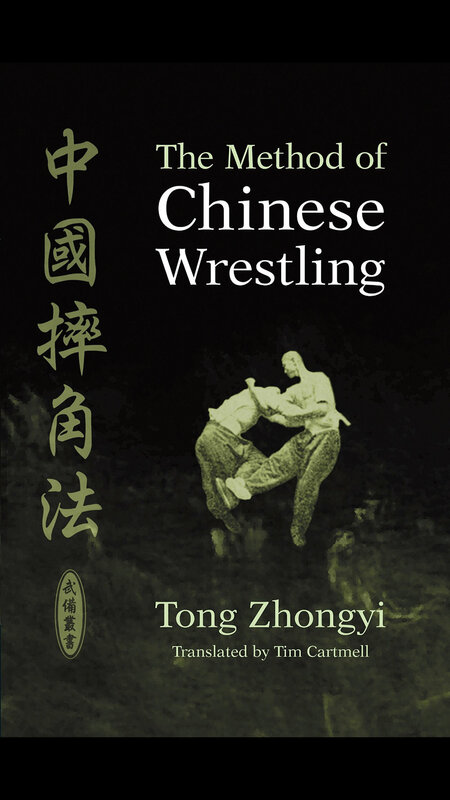 Xing yi places a strong emphasis on the quality of the execution of fundamental movements over the memorization of complicated forms found in many martial arts, which although may be beneficial and beautiful to watch, are challenging to comprehend and learn. The five element forms are simple to learn and remember, yet are arguably just as profound as those found in other martial arts. For students of the internal martial arts of Bagua or Tai Ji, who have some difficulty understanding the frequently misunderstood principles behind these arts, learning Xing-yi chuan’s 5 element fist forms is an excellent way to see parallels within one's own art. Grasping these principles allows you to fill in gaps of information and improve your overall comprehension of body mechanics, power generation, and martial application. For students who have a background in harder style martial arts, the method of xing-yi chuan is an easier way to learn and understand how to practically apply the often misunderstood martial applications of the internal arts. The emphasis upon relaxed body movement, clear distribution of weight during transitions, and obvious martial intent expressed through practical combative application developed while maintaining a calm mind, will be useful to you in your own martial art and will be of benefit further down the road should you want to continue your training into BaguaZhang, Tai Ji Chuan, or Xing Yi Chuan. Xing-yi Chuan is an excellent choice for beginners looking for a martial art based on leverage, body mechanics, improvements in strength and flexibility, as well as practical skills to defend yourself. In addition, it can be effectively practiced as one matures, and will also improve with practice over time. Tui Shou or Push hands is an exercise which is standard to all branches of Taijiquan. These methods are similar to the sticking hands practices of several Chinese martial arts such as Wing Chun, and White Crane, and is also seen within several of the traditional Okinawan Karate systems such as Goju ryu, and the Hubud-Lubud exercises within the Filipino martial arts. Push hands practice can also be considered the equivalent of the pummeling exercises of clinching found within the various grappling arts. Unfortunately there are many misconceptions about what push hands training will provide you with, and often push hands training amounts to little more than competitive shoving matches between people while over-relying on strength. 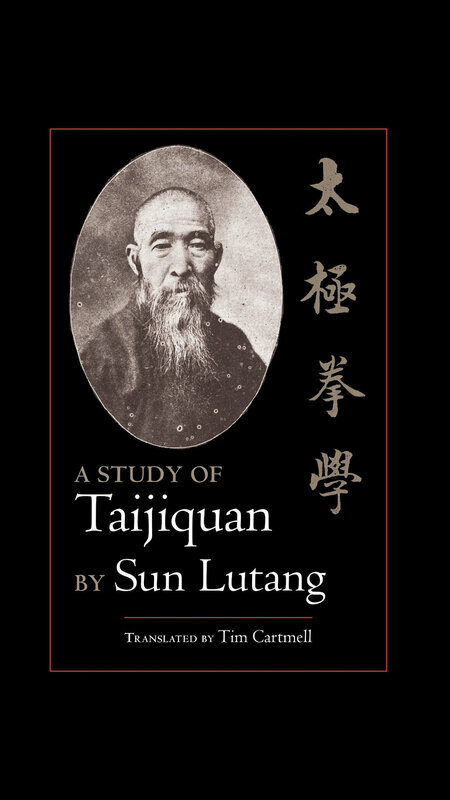 This contradicts several fundamental principles of Tai Ji Chuan, and often leaves a student confused about the effectiveness of their training. The practice of Tui Shou specifically, is a practical method of paired partner awareness training that develops sensitivity, timing, balance, and the appropriate use of power in relation to the unpredictable and ever-changing forces of an opponent in the context of a real combative situation. 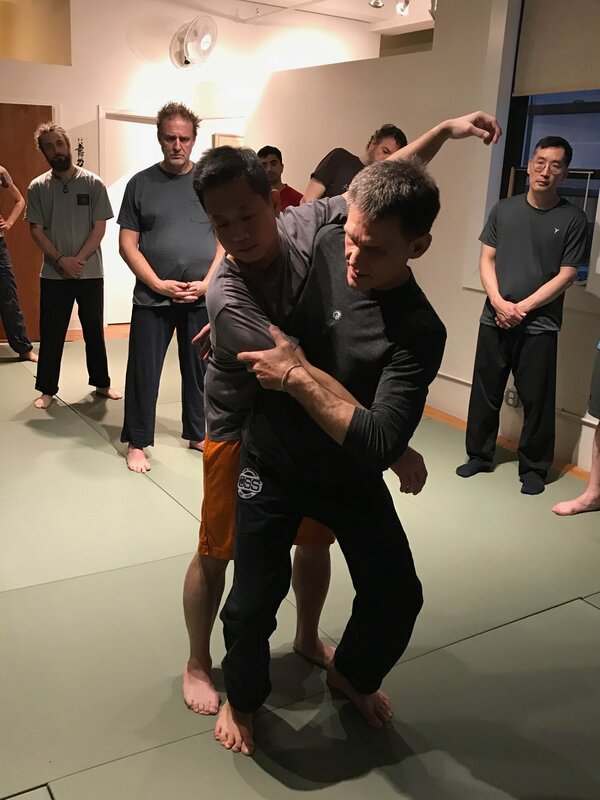 Understood correctly Tui shou is beneficial for practitioners of any style of martial arts, as its fundamental patterns closely mimic the actual connection of forces most often encountered in real life fighting scenarios. How you can use push hands skill to implement the characteristic internal martial art principles, found in all branches of Tai Ji and internal, and grappling based martial arts, such as yielding to a superior force while 'borrowing' it to harness and amplify the power of your techniques and applying sticking and following to obtain a dominant position. How you can gradually introduce resistance within push hands, and evolve the practice into a free flow method with an eye toward actual martial usage. Evolving the practice to free up from exact patterns enables a deeper and broader understanding of taijiquan principles for two-person practices. Understanding an opponent’s weak angles and reactions becomes much more straightforward when the two practitioners aren’t following an exact pattern. Similarly, a genuine understanding of your own angles, reactions and timing become much clearer when you free up from an exact pattern. Being aware of the often misunderstood training methodology of push hands can add a whole new dimension to your training regardless of your specific background. If you are uncomfortable taking falls, you can perform the material at the seminar up to the point of "fitting in." That is a common practice at seminars that include throwing and at least some people are planning to attend and learn the material in that way. Each workshop topic is designed to be learned as stand alone topic, but in this final session as an added benefit to the people who attended any or all the previous sessions of this workshop series, Tim will demonstrate how to tie the various topics together into a cohesive format of training. THIS WORKSHOP WILL FILL UP AND PRICES WILL INCREASE ON TUESDAY APRIL 24TH. DUE TO POPULARITY AND LIMITED SPACE, ONLY 14 SPOTS ARE AVAILABLE FOR EACH WORKSHOP. 3. Create a login. You will need a name, a phone number, a, your preferred mailing address and an email address. 5. Choose the date you wish to attend. Eg. Friday October 14th. The button says "SIGN UP NOW!" If you would like to attend more than one day and plan on taking the entire workshop, you can still choose Friday. 8. Enter your payment information. Click PLACE ORDER. After you have purchased your enrollment series, please sign up for each individual day you would like to attend. (eg. If you purchased 2 weekday sessions, you must register individually for the two days you would like to attend). If you would like to pay by cash or check, please email Steve at xycnyc1@aol.com or call him at 646-752-6152 and he will enroll you directly. 153 West 27th street Suite 806 (Buzz 37 if downstairs door is locked).